This is the yummiest candy I have ever made. Thank you Ina Garten! She really knows her stuff which might be why she has her own cooking show. Then again, Sandra Lee has her own cooking show too…. so that argument doesn’t really work. Make this candy today! 1. Line a 8×8 pan with parchment paper (big enough to fit over the sides) and brush lightly with vegetable oil (I wouldn’t use olive oil, that might taste gross). OR use non-stick aluminum foil. That works too. 2. In a 3 qt. saucepan (recommend to avoid non-stick pans), combine 1/4 cup water, sugar, and corn syrup. Boil over medium-high heat. It will turn a warm golden brown. Do NOT stir! Sugar doesn’t like stirring. Just swirl the pan. The mixture will be clear, then a pale amber, then go golden brown. 3. While the sugar cooks, in a small pot combine the cream, butter and salt. Simmer over medium heat. Take off the heat. 4. When the sugar mixture is done, turn OFF the heat and slowly add the cream mixture from the pot. It will boil and bubble like crazy, so do this slowly and away from small children. Stir in the vanilla with a wooden spoon. Cook on medium-low heat until mixture reaches 248 degrees on the thermometer. (Don’t have one? Go buy one because you really can mess everything up not knowing what temperature you’re at. 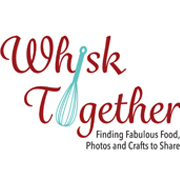 You can use it for my fudge recipe later this week :-)). 5. Once you hit 248 degrees, take the caramel mixture and pour it into your prepared pan. Fridge for a few hours – or until firm. 6. Cut the caramels and wrap in parchment or wax paper. Cutting the caramels can be difficult I found. Try heating up your big heavy knife under hot water. Dry the knife and push hard into the candy. You can allow the candy to warm up a bit and trying cutting. Don’t allow to warm up too much or you get lots of gooey strands. If you don’t care whether it is pretty – don’t worry about it. 7. 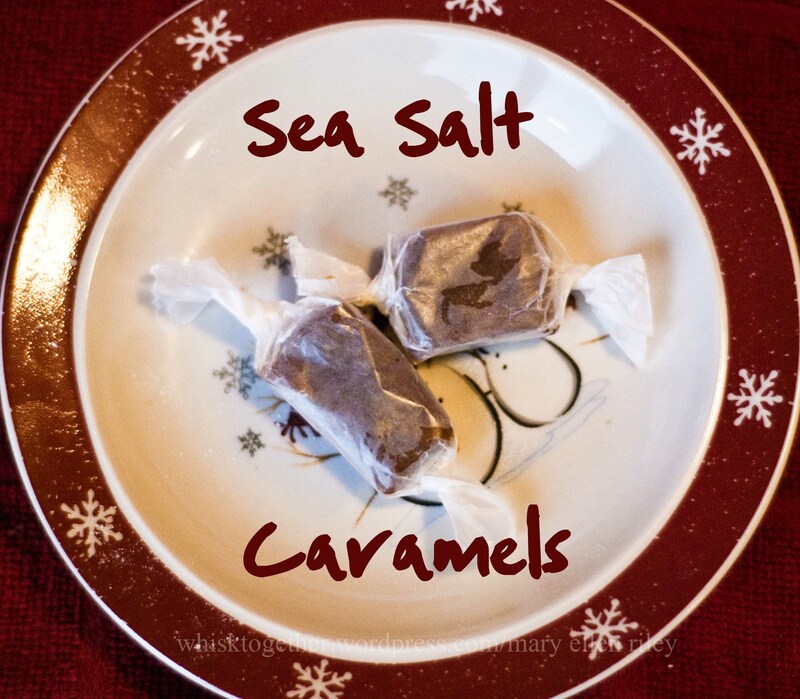 Sprinkle some extra sea salt on the caramels if you like and wrap! DEEE-licious! I’ve used scissors to cut caramels, so that might be worth a try. It worked really well.